Healing, being an art rather than a business or scientific experiment, is akin with all other art, where trust in skill combined with trust in resonance allows for the spontaneity that can help us see the not-yet-known. Those engaged in the field of 21st century Bio Medicine know that and are thankfully spreading the word. You do not have to follow the Dao to work in medicine or the life sciences, but you do need a philosophical approach or you will get lost in the “facts” visible under the microscope. And Daoism is just very helpful, because it is such a wonderful way for us as practitioners to look at ourselves first, before we know God-all about our patients from books. The Way that is the Dao, is the way things are with us and with the world, the way we are with ourselves and with the world. 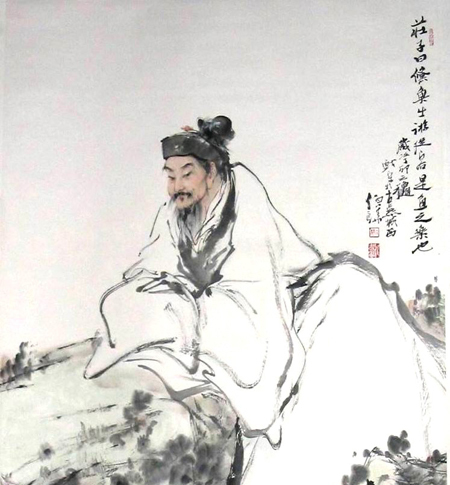 The Dao is but the cloud on which Chinese philosophical ideas travel across a blue sky of existence – making weather. Chinese Medicine and all its approaches to healing are part of this weather system as it arises between Heaven and Earth encompassing mankind. 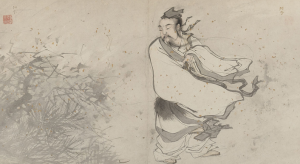 “If there is anything basic to Chinese culture, it is the attitude of respectful trust towards nature and human nature…a basic premise that if you cannot trust nature and other people, you cannot trust yourself. If you cannot trust yourself, you cannot even trust your mistrust of yourself”. Alan Watts, Tao: The Watercourse Way, New York 1975, p.32. And he warns: “… the Westerner who is attracted by Zen and who would understand it deeply must have one indispensable qualification: he must understand his own culture so thoroughly that he is no longer swayed by its premises unconsciously … Lacking this his Zen will be either “beat” or “square”, either a revolt from the culture and social order or a new form of stuffiness and respectability”. Alan Watts, Beat Zen, Square Zen and Zen, San Francisco, 1959.